Thanks to Daniel C. Peterson for this column, published in the Deseret News on Thurs., May 21, 2015. The title is"Defending the Faith: Did Book of Mormon witnesses simply see the golden plates with their 'spiritual eyes'?" He provides a link to a column on the same topic, which he wrote a few years ago, which is also worth reading. He points out that if you're criticizing the Book of Mormon and Joseph Smith's story about how he received the Golden Plates, you have to "neutralize" the testimonies of the three witnesses and the eight witnesses. Anti-Mormons have tried all kinds of ways to do this: Claim that the 11 men were unreliable, insane, irresponsible, and/or unworthy; claim that they later denied their original testimonies published in the Book of Mormon; claim that they were somehow deceived or hallucinated the experience; and even claim that what they witnessed was only "spiritual." 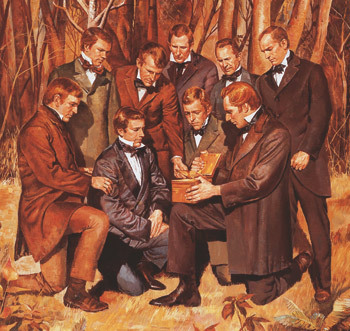 "... we know a great deal about them and about the six decades, both when they were dedicated followers of Joseph Smith and after they had been alienated from him and his church for many years, during which they testified to the Book of Mormon. For a very long time, those seeking to discredit their testimony accused them of insanity, or of having conspired to commit fraud. In the light of Anderson's work, however, neither accusation can be sustained. They were plainly sane, honest, reputable men." "Several of the 11 official witnesses were obviously confronted during their lifetimes with accusations that they had merely hallucinated, and they repeatedly rejected such proposed explanations. Peterson concludes, "Those who seek to dismiss the testimony of the Eight Witnesses must, on the whole, flatly brush aside what they actually, and very forcefully, said." I've been posting a lot lately about science and religion, and have even been posting some thoughts on atheism. However, since most of my friends and relatives know a lot more than I do about some of these areas and don't necessarily agree with me about any of them, I want to say here: I don't mean to offend, and I confess freely my ignorance and willingness to learn while I'm working through my ideas and how they may fit with those of other people. And I don't want to argue. I am bothered when other people take an argumentative stance, especially when they don't really understand what they're arguing against. So if it seems to anyone like I'm arguing, let me know, and I'll stop. In researching the arguments that other religious believers make against my own Mormon beliefs, I'm astounded at their ignorance. Many of them don't think we're even Christians, and the fact that we have the name of Jesus Christ as part of the name of our church* doesn't convince them. I read one recently that said it doesn't count if we say we believe in Jesus Christ because our teachings are not the same as those in the Bible. ** Astounding! Likewise, arguments made by atheists who don't understand the religious beliefs they're arguing against are never going to work with me. While some atheists and some people of other faiths may be interested in an honest discussion that leads to understanding each other's beliefs and the reasoning behind them, it seems to me that even discussions that start out that way can turn into contentious arguments. I thought of writing about this because my daily email from Daniel C.Peterson gave a link to a blog post titled "Twelve Reasons Why I Never Argue With Internet Atheists." This blogger, Fr. Dwight Longenecker, makes the point that arguments about religion don't even work, either way, for or against, and that goes for different sects within the same religion. Also, he points out that believers aren't interested in providing "evidence" of God's existence (as if those argumentative atheists were even specific about what they mean by "evidence"). "The arguments for the existence of God [or any area of religious difference] boil the whole thing down to an intellectual game and I find that unsatisfying. It’s kind of like arguing about the existence of music. I’d rather listen to the symphony and invite another person to join me." **The Book of Mormon, subtitled "Another Testament of Jesus Christ," teaches the same doctrines and principles as those taught in the Bible, along with supporting additions which will eventually be discovered in other ancient works. "Among the Repulsions of Atheism"
I got this quote from an email message from Daniel C. Peterson. I've been getting these email messages every day. Brother Peterson includes quotes and links to articles about religion from LDS, other Christian, and other non-Christian writers. There's something worth reading and thinking about in every message. For instance, in recent messages I found this quote from John Updike, a long article by a Muslim mother about why practicing Muslim boys and girls are not allowed to attend school proms, and an article by an LDS missionary in Vanuatu, Fiji. If you're interested in receiving these emails, go to Brother Peterson's home page and put your email address in the blank box and hit the Subscribe button. 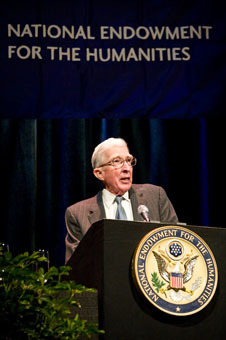 John Updike (d. 2009), winner of two Pulitzer Prizes for Fiction, two National Book Awards, three National Book Critics Circle awards, both the 1989 National Medal of Arts and the 2003 National Humanities Medal, twice on the cover of “Time Magazine,” winner of the Rea Award for the Short Story for outstanding achievement, and 2008 Jefferson Lecturer for the National Endowment for the Humanities, the highest humanities honor bestowed by the government of the United States. Does the fact that John Updike said this make it more important than any other person's thoughts on atheism? Does the fact that he's written all those books and stories and received all those awards make him some kind of expert? Of course not. And I would never write or say that I found atheism "repulsive." I don't agree with the philosophy of atheism and find many of its fame-seeking proponents repulsive, but I understand why people can become atheists. Because atheists are people, too. And, just like religious believers, they exist in all types and forms, and versions of their non-belief in God. I recently found an interesting defense of atheists. Please note that the writer is NOT defending atheism itself, just those people, atheists, who accept the general doctrine of atheism. The article is illustrated with a photo of Richard Dawkins, the latest and highest high priest of the atheists. Make of that what you will. What I make of it is that the author does accept Dawkins' authority, if not his priesthood, although not every idea the author includes in his list of "10 myths about atheists that just won't go away" fits in Dawkins' doxology. ---That atheists hate God. No, the author explains, we don't hate God. How could we hate him if we don't even believe in him? ---That atheists hate "the religious." The author explains that this myth "... tends to stem from the fact that some vocal atheists take a strong stance against religion and often leave a religious person feeling as though they are being attacked because they identify so strongly with their beliefs." ---That atheists have just replaced religion with science. The author kindly explains: "For starters, being an atheist does not mean you must accept scientific facts, there are atheists who believe in the 'ancient aliens' idea that life on earth was guided by aliens from another galaxy, or atheists who believe the moon landing is a conspiracy theory. Just not believing that god(s) exist does not mean you immediately accept all scientific laws or theories: "
You want to attract young people (so-called Millennials) to your church? Have you tried rock music, electric guitars and throbbing bass, a "Prime" or "Vertical" young-adult discussion group, in a mega-church arena? No? Good. Don't try it. It doesn't work. It doesn't keep young people or anyone else interested. Also, marketing tools and branding apparently don't help, according to this article in the National Review. Wrong-o, dear evangelical friends. Here's what people need---and really want---from religion: Something that is not just "refreshingly authentic" but is REALLY, AUTHENTICALLY authentic: To worship God and to emulate the life and actions of Christ. It's not that I dislike every big word I've ever heard or read. Some of them are necessary: they're descriptive (like "photosynthesis"), they're the standard term for something (like "carcinogen"), or, combining those two reasons, they are the standard descriptive word for something ("idiosyncratic"), and if you try to say it any other way, you'll just bumble and mess up. And there are some big words that I absolutely love, for instance, "sesquipedalian," which means "one who uses big words." What I dislike about the use of big words in science is when it's being done to show off, to exclude those who don't know those big words, or to hide information. Here's the abstract for a talk being given this year at a botany conference. The title of the talk is "The 'invisible hand' of floral scent in plant-pollinator interactions." Flowers are not merely objects of aesthetic beauty – they serve as engines of biological diversity, lynchpins of ecological stability and fonts of human ecosystem services from agriculture and floriculture to cosmetics. Botanists have long been dazzled by the visual aspects of floral display (color, shape and pattern), whose importance to plant-pollinator interactions was appreciated before the birth of Darwin. In contrast, the chemical aspects of floral function, from the scents that guide pollinator attraction and learning to the composition of the nectars, resins and oils that reward their visits, somehow remain peripheral to the central bodies of ecological and evolutionary theory concerning pollination. However, recent technological and conceptual advances have made it easier to analyze and manipulate floral chemistry, particularly floral scent, and a growing body of evidence points to more central roles for scent in mediating floral isolation, constancy, gene flow and defense. I will highlight several recent manipulative studies, in which visual signals were tracked and controlled, to illustrate the unexpected (“invisible”) roles played by scent in otherwise well-studied model systems. Floral scent provides critical mechanisms that explain conditional reproductive isolation among sympatric Ipomopsis aggregata and I. tenuituba, balance floral defense and pollinator-mediated selection on floral form in Polemonium viscosum, and dictate the network structure of floral visitors to generalized pollinator hubs such as Cirsium arvense and Achillea millefolium. In addition, I will explore our current knowledge of geographic variation in floral scent – the potential for local scent “dialects” – in the context of the Geographic Mosaic Theory of Coevolution, with reference to an ongoing study on the genus Oenothera. Finally, I discuss the importance of scent to the convergent evolution of brood-site deception in dung- and carrion mimicking plants, by highlighting studies of dung mosses (Splachnaceae), a circumboreal lineage of bryophytes (common in Alberta!) that utilize unique combinations of sporophyte color and scent to attract diverse groups of flies as spore dispersal agents. (The central importance of scent in obligate nursery pollination systems (yuccas and figs) will be addressed separately in the Colloquium on Mutualisms). Even before Darwin was born, people realized that the beauty of flowers is one thing that attracts bees and other insects which pollinate them. And we humans love how beautiful flowers are, too. But did you know that the way flowers smell can also attract pollinators? In fact, smells can be divided into different kinds, like language dialects, understood by the insects that pollinate them. Also, strangely enough, plants that don't require pollination, but need insects to spread their spores, mimic the smells of flowers to attract insects. See, now, wasn't that easy? I'm so frustrated with people who speak and write using big words and fancy expressions that they could just as well say or write in short words and short sentences. For example: This book review on the Mormon Interpreter website, which frustrated me so much I stopped reading about three paragraphs in. I kept skimming, hoping I could get to the point, but I gave up after another five or six paragraphs. "Not tempted to believe"? Okay, that's good. That's the first part of this whole review, and I suspect, of the book being reviewed, that is written in real English. The guy was "not tempted to believe" the truth, but now he is apologizing to Mormons for his years of heaping scorn upon our beliefs and ourselves, individually and collectively; so that he can now exhort Evangelicals to be nice to us. "Candidly, in order to publish at least one article every Friday, Interpreter: A Journal of Mormon Scripture sometimes grows a bit desperate and is forced to scrape the bottom of the proverbial barrel in order to come up with something, anything...Sadly, that was the case this week." Thank you, Daniel C. Peterson, for getting to the point, bluntly, and in the fewest necessary words. ... Mount St. Helens erupted. I wasn't living anywhere near it back then, but of course I heard about it. 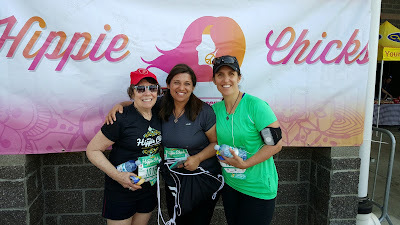 Here's the main thing I remember, besides the news reports: My husband calling me from work, crying, saying they had just found out one of their scientists had been killed in the eruption. 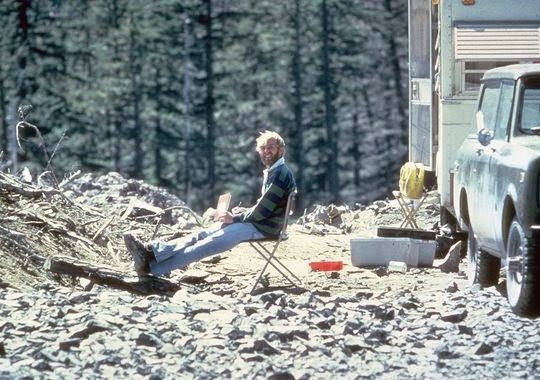 David Johnston undoubtedly saved many lives by his warnings of how dangerous the volcano was during the days and weeks leading up to the eruption. As the USGS said on its website, he " helped persuade the authorities first to limit access to the area around the volcano, and then to resist heavy pressure to reopen it, thereby holding the May 18 death toll to a few tens instead of hundreds or thousands,"
Here's a photo of Johnston, taken 13 hours before he died in the eruption. 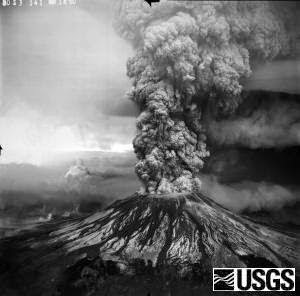 His last words on the radio, to the USGS vulcanologists monitoring the event in the Vancouver office, were, "Vancouver! Vancouver! This is it!" For more about the eruption, including photos of the volcano leading up to the Plinian eruption and of the aftermath, check out the USGS Volcano Hazards Program website. And so what? This is what: He was writing for the Jewish readers of his gospel, so using the structure and organization of the five Books of Moses made perfect sense. I'm not going to go into much detail on this but hope you'll read this article, by Taylor Halvorson, which does go into detail. Briefly, the first chapter of Matthew, patterned after the Book of Genesis, begins with the genealogy --- the genesis --- of Jesus. The second chapter, patterned after the Book of Exodus, tells of Jesus's family fleeing into Egypt and then returning to the promised land. The third chapter, patterned after Leviticus, focuses on the requirements for salvation (baptism). The fourth chapter tells of Christ's 40 days of fasting, like the account in the Book of Numbers of the Israelites' 40 years of wandering in the desert. In the fifth chapter, Jesus gives the Sermon on the Mount, just as Deuteronomy recounts the receiving of the Law that Moses received on a mountain. 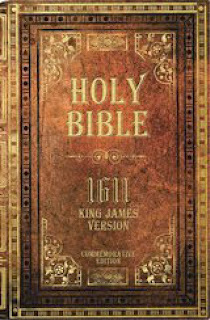 I am fascinated by the way that the four gospels of the King James translation of the Bible tell the story of Jesus's life and teachings in ways specifically designed for their intended audiences. 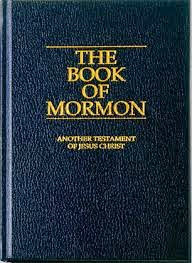 Just so, the Book of Mormon tells of Christ's teachings and the prophets who foretold his life and ministry and later described his visit to the peoples of the Americas for a specific audience: Us. NOT because it's not true. The Book of Mormon is a true work of ancient scripture written by ancient prophets and leaders, translated by the miraculous power of God through a "ploughboy," Joseph Smith, from ancient metal plates. 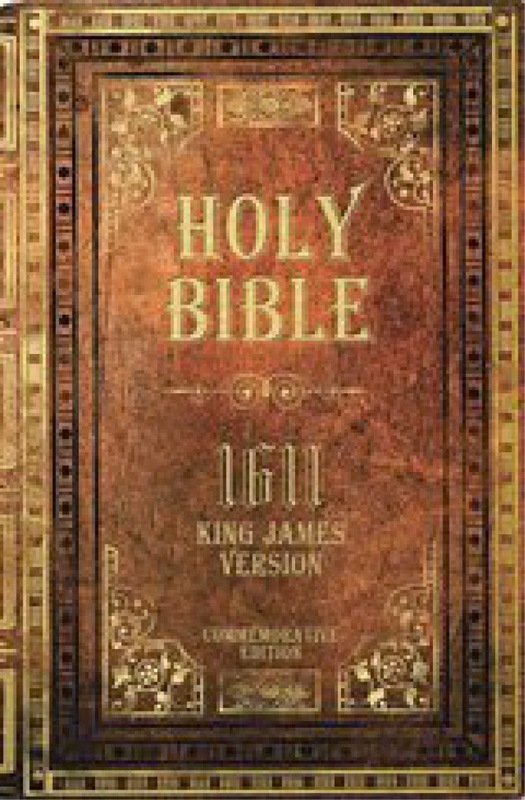 It contains the teachings of Jesus Christ and is a companion to the Bible in helping us understand God's will for us. NOT because the scientific method, if applied to the details of ancient history and geography, would prove or disprove it. BUT because that is not how scripture is "proven" or "disproven." AND that is not even how other ancient historical accounts have been shown to be true. So, let's say that at some point some researcher finds some ancient metal plates with characters just like those of the Book of Mormon plates; and, when translating them, finds they say exactly what those characters are translated to say in the Book of Mormon. Or, let's say that some researcher finds an ancient site in the New World with inscriptions just like those in the Book of Mormon, or finds some historical document that recounts one or more of the same histories told in the Book of Mormon. So what? Will those scholars immediately conclude that the Book of Mormon is therefore true? No, they won't. What will it take for the scholarly world to accept the Book of Mormon? Who cares? Who cares if scholars accept the Book of Mormon on their terms? It doesn't ask to be accepted on those terms. It exists for humble seekers of truth to read it, pray about it, and respond to the witness they receive. Are Diet Fads Destroying Us? Short answer: No. Nothing is "destroying" us. Some editor at Salon.com just wants to up the readership for this page on this day. Another short answer: Fad diets are indeed stupid and unhelpful, at the very least, and often make people end up weighing more and feeling even unhappier than they did before. Longer answer: The latest fad diets, like Paleo diets and gluten-free diets (except for people who actually do have problems digesting gluten, i.e., very few of us), just like the so-called cleansing diets and yeast-free diets of yesteryears, are bad for us physically and do some major damage to our mental and emotional health, too. Even longer answer: Alan Levinovitz in "The Gluten Lie" suggests that making gluten taboo and prescribing only the foods that our early Hominid ancestors supposedly ate are not just scientifically and medically ridiculously unhelpful and unhealthy. In fact, he says, these diets take on a religious significance. I think it's funny*** that Levinovitz also claims that "Fitbit represents a cultural descent into profound moral vacuity," in this interview. ***Because I use my Fitbit to track the steps I take each day, and I don't think I'm in some kind of vortex descending into moral nothingness. But I think it's interesting, and I may even agree with the following part of Levinovitz's argument: That the moral certitude and smugness of people who are following these diets (and, yes, I admit it, comparing their Fitbit steps each day with those of their friends) are closer to a religious expression than to anything even remotely like science. 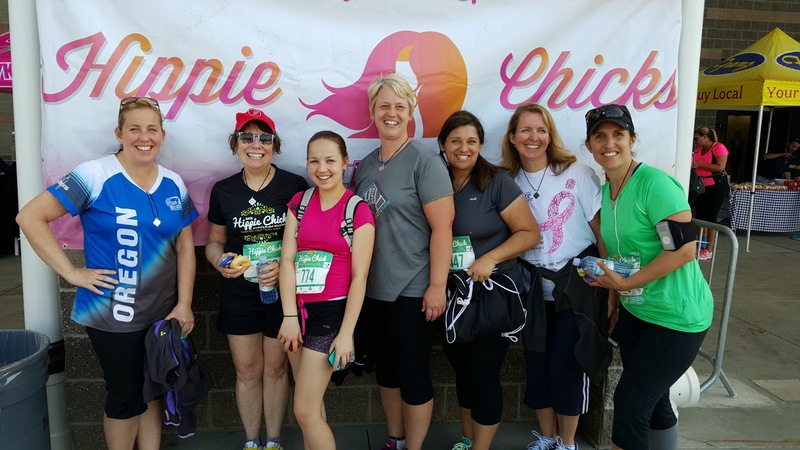 "I think a lot of people are distinguishing themselves by adopting ascetic diets. Religious people have done this since time immemorial. To show that they have some kind of strength to distance themselves from the material world, they adopt ascetic diets. 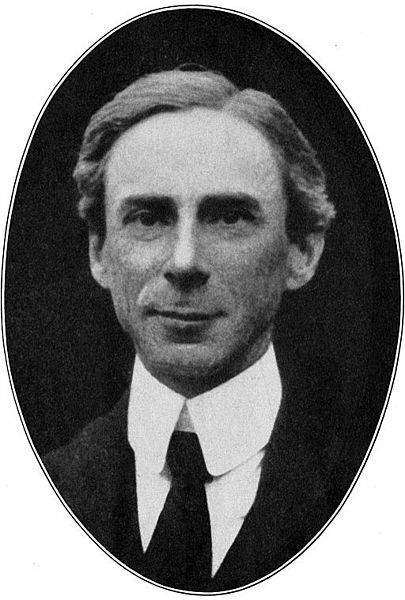 "But then to assert that your ascetic diet in turn makes you physically superior to others, in addition to being morally superior... Saying that I’m living a healthier life is the only courteous way left of saying I’m living a better life." "I think [fad dieting] is a reaction to the proliferation of science. The voices of science used to be largely monolithic. You couldn’t go online and get 16 different authoritative declarations about what your diet can be. And now you have that. 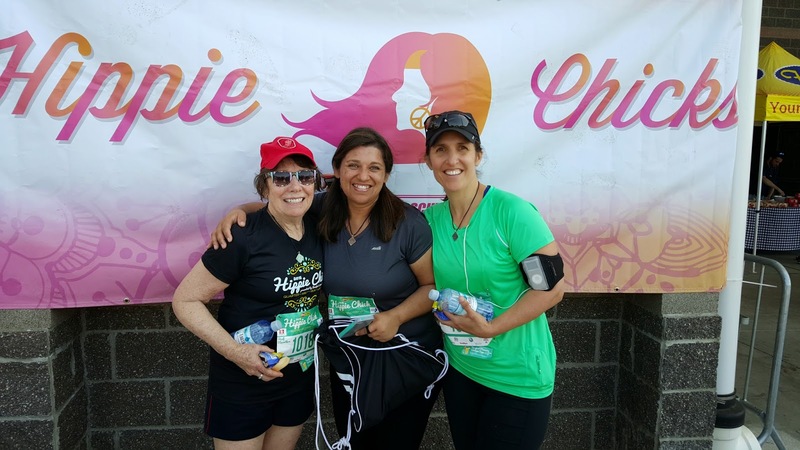 "People are picking and choosing from all of these dietary authorities to put together their own dietary faith. They don’t necessarily think it’s right for other people, but they also don’t want other people to challenge them, either. And then, there’s the fact that because of this proliferation of diet authorities, people want to seek refuge from that chaos in a single authority." ...which "single authority," of course, makes the fad diet something like a religion and its followers something like acolytes. "It also legitimizes fringe authorities, because they can use that diversity of scientific findings to make themselves seem no less authoritative than anybody else." I'm going to be writing soon about how "fringe authorities" get away with writing and saying a lot of nonsense by claiming they have some cherry-picked "scientific findings" to back them up. Meanwhile, let's say it's not a fad diet but an anti-vaccination conviction: You don't even care about the science beyond the one guy you've read about, some famous medical researcher who came up with the stupid idea that your kid is autistic because of the measles vaccine, and you don't care that the guy just wanted to become famous, research was bogus and his results were found by others to be completely wrong, and he has been discredited. Same thing, right? It becomes like a religion, has nothing to do with science, while being bolstered with some kind of pseudo-science nonsense. So you can stick with it to the bitter end, or...until your kid gets the measles and passes this disease on to some vulnerable person, or ... until you don't actually lose any weight on your diet and in fact start sneaking "forbidden" but necessary foods and eventually balloon out to a huger weight than you were before. "What’s yoga good for? What’s mindfulness good for? 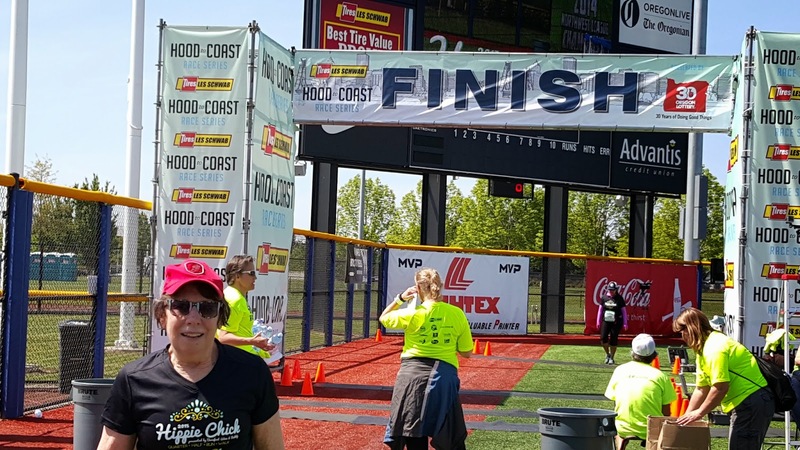 Well, it’s good for—and then substitute whatever health condition you want to deal with. I just think it’s kind of sad that that’s where we would invest so much of our ethical energy. It’s an incredible amount of time and effort. And for what? And for nothing. To look better." Or, put another way: While fewer and fewer Americans lately are calling themselves Christians or people of any faith, everyone has a religion, whether they call it that or not. 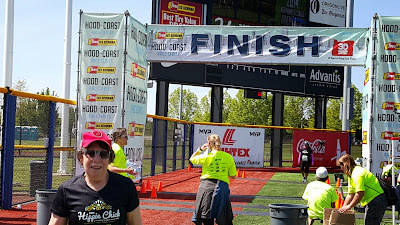 So they may consider themselves, as I heard some people on my local PBS radio station call themselves recently, "spiritual secularists" or "non-believing Jews," or "practicing Buddhists," or "practitioners of mindfulness" --- or they may be just CrossFitters or gluten-free dieters. Whatever it is, it can become a religion, so it doesn't need any comprehensive or verifiable scientific backing. "It is what it is," as one of those non-religious --- "but spiritual!" --- people said on the radio. Which is...true. It definitely IS what it is. Whatever that may be. 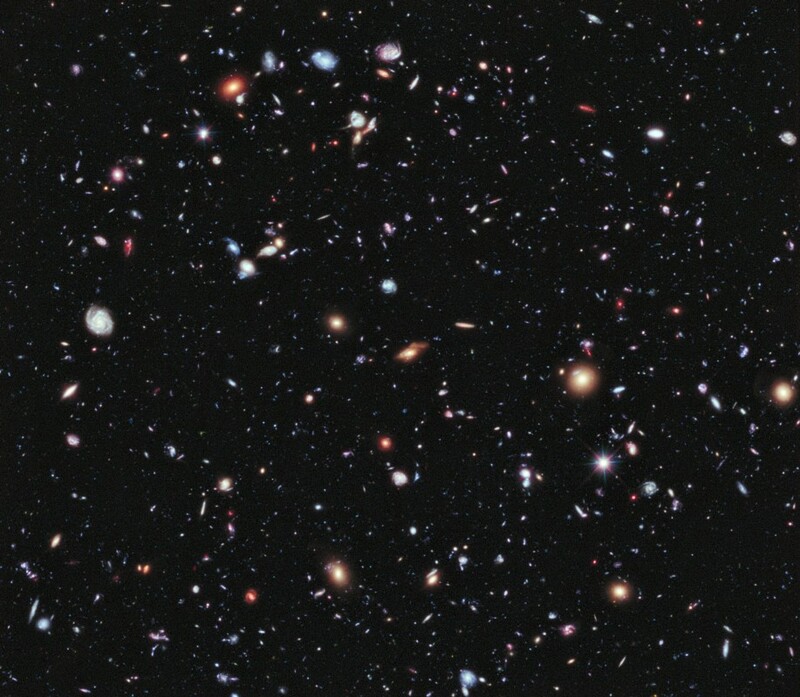 As powerful and amazing as the Hubble telescope is, as much as it has shown us already that we would never have dreamed of seeing before 25 years ago, it will never be able to see the most distant galaxies. Why is that? I'm not sure It really understand all of this explanation. And, to paraphrase Bertrand Russell, you might not want to trust what someone with my level of understanding says about something this brilliant. First, the reason Hubble can see as much as it does is its huge mirror, 2.4 meters (7 feet, 10-1/2 inches) in diameter. So when it's aimed out into deep space and watching for 23 days, it gathers more and more light, but it can still only see the very brightest of those faraway galaxies. Remember that the farther away the galaxies it's looking at, the redder they look, because the universe is expanding and as things move farther away their wavelengths get longer and redder. 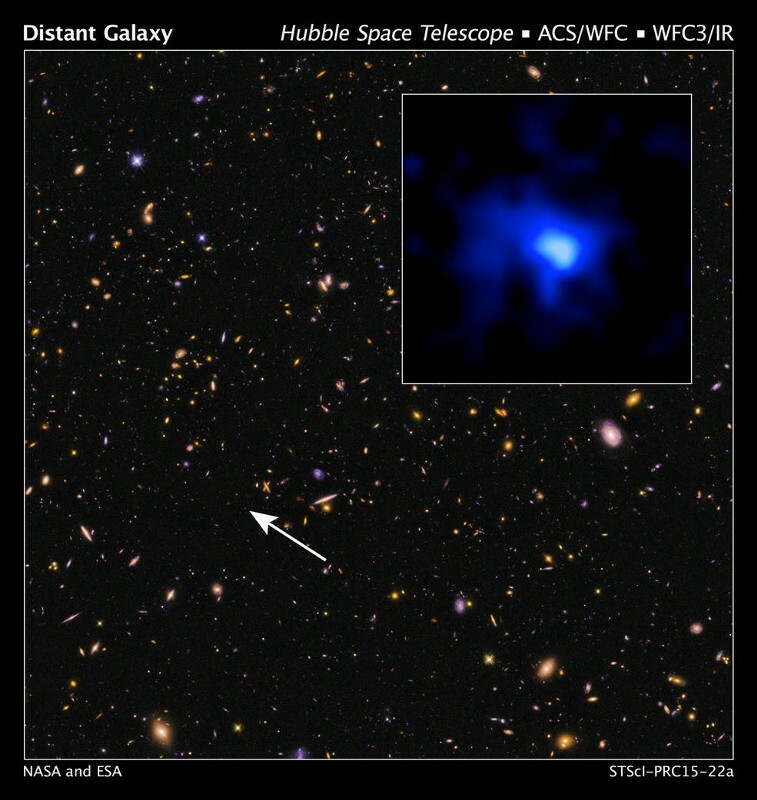 While Hubble can get to wavelengths of one micron (1 micrometer, or one millionth of a meter), the newer James Webb Space Telescope (JWST) will be able to get to 30 microns, which means it will be able to see objects with the longer, redder, wavelengths, so it will see more distant galaxies than Hubble. 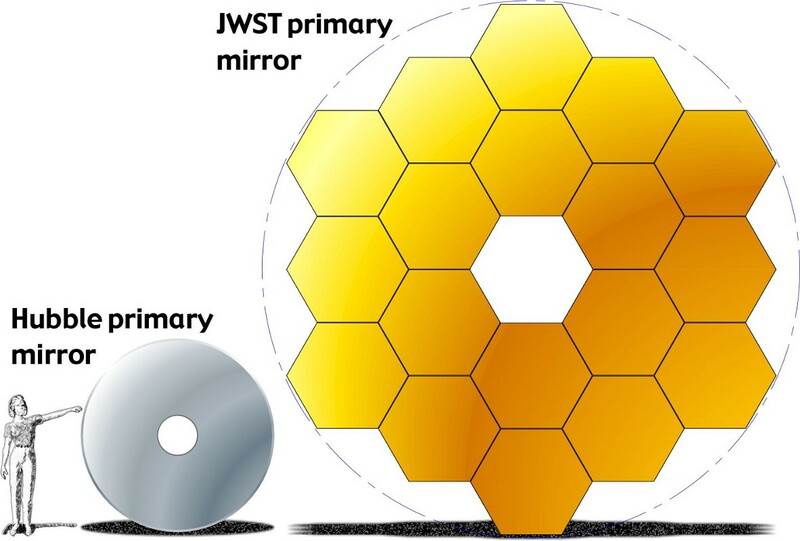 NASA / JWST team, via http://jwst.nasa.gov/comparison.html. With this new telescope, we may be able to see objects with much higher redshift, meaning they're much farther away, and eventually even, as the author of the article I'm referring to here writes, "peel back the last veil of the unknown**** in the visible Universe." "And he said unto me: My son, my son (and his hand was stretched out), behold I will show you all these. And he put his hand upon mine eyes, and I saw those things which his hands had made, which were many; and they multiplied before mine eyes, and I could not see the end thereof." Not showing photos of the blisters on the bottom of my feet because they're so ugly that I didn't even take photos of them. But it was worth it. I'm writing so much about dinosaurs lately not just because there's a lot of news about new discoveries but because I'm going to be focusing on the whole subject of how dinosaurs fit into and mesh with Biblical accounts of the world's creation and history. 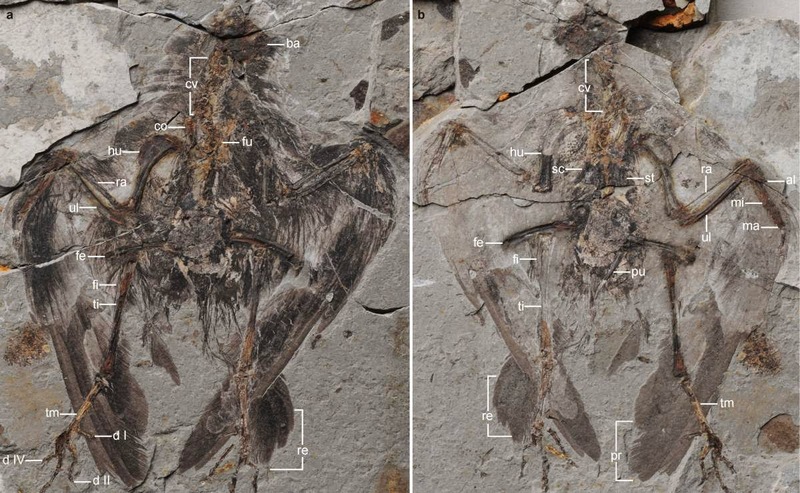 From Time magazine: Holotype of Archaeornithura meemannae, the oldest ancestor of modern birds has been dug up in China evolved almost six million years earlier than previously thought. Because, of course, it's hard to read Genesis (starting from "In the beginning, God created the heavens and the earth" and then the whole rest of it) and not ask, "What about the dinosaurs?" A lot of religious people, including a Seminary teacher I had when I was 14 years old, say God must have put dinosaur bones on the earth "to test our faith." I'm not writing about this to get into an argument with anyone. Nor am I claiming to have the final answer about the age of the earth, the evolution of dinosaurs and other creatures, including humans. And I'm certainly not claiming to be some kind of expert on the scriptures. Also, I'm not condemning that Seminary teacher who (poor guy!) was just trying to think through what he knew of science, what he understood of scripture, what he himself had been taught (back in the Dark Ages), and what he hoped might make sense to me, his skeptical and (I admit) often obnoxious student. The article, "Oldest Known Ancestor of Modern Birds Is Discovered," has the subtitle "The discovery indicates that modern birds originated roughly six million years before previously thought." Six million years! That's a way huge lot longer than the six days of Genesis (Genesis 1-2). And that's just on top of the 125 million years that scientists used to think was the oldest bird ancestor. So, how do I reconcile geologic and paleontological evidence of the age of the earth and the evolution of animals now extinct with what I read in the Bible (which, by the way, I believe to be the word of God, as far as it is ranslated correctly)? Third, Whatever I understand now is likely to be different a few years, or even months, from now, as I keep studying and learning. Okay, okay, so, what do I think right now? Even though I acknowledge how tenuous, tentative, and possibly outright wrong it may be? I promise to write about that soon. Great site to come back to again: The Hoops News: Science. This is where I read about a seven-year-old kid who discovered Chilesaurus diegosuarezi, a plant-eating theropod. Its name comes from the fact that its bones were found in Chile and from the name of the boy, Diego Suarez (now an 18-year-old man), who found the fossil in 2004 during a research expedition he visited with his parents. It's related to Velociraptors and T. Rex. It's the first plant-eating theropod dinosaur found in Chile. How do the researchers know it ate plants? I don't know. Here's where the discovery is reported in Nature, which as usual will not let me, or you, or 99.99% of interested people, read the whole article without paying an arm and a leg for it. I'm guessing, since nothing I've read about the creature says that leaves were found partially eaten in its stomach (which would really surprise me if I read that anywhere), that they're saying it's a vegetarian because of its teeth. The Hoops News article says, "According to the scientists, these bizarre theropods possibly lost the taste for meat due to convergent evolution, which is a process that makes some parts of a living being act like those of others." "Theropod dinosaurs were the dominant predators in most Mesozoic era terrestrial ecosystems1. Early theropod evolution is currently interpreted as the diversification of various carnivorous and cursorial taxa, whereas the acquisition of herbivorism, together with the secondary loss of cursorial adaptations, occurred much later among advanced coelurosaurian theropods1, 2. A new, bizarre herbivorous basal tetanuran from the Upper Jurassic of Chile challenges this conception. The new dinosaur was discovered at Aysén, a fossil locality in the Upper Jurassic Toqui Formation of southern Chile (General Carrera Lake)3, 4. The site yielded abundant and exquisitely preserved three-dimensional skeletons of small archosaurs. Several articulated individuals of Chilesaurus at different ontogenetic stages have been collected, as well as less abundant basal crocodyliforms, and fragmentary remains of sauropod dinosaurs (diplodocids and titanosaurians)." "We've found a vegetarian dinosaur! That looks like a meat-eating predator! Amazing! We're so excited we can hardly get over ourselves! Where? In a location and time period when mostly meat-eating dinosaurs dominated. This plant-eating dinosaur must have evolved from the meat-eaters, judging by our dating of the fossils. And, wow, we found a bunch of them at all different stages of life! Also we found there some parts of some other dinosaurs." At the USGS Cascades Volcano Observatory (CVO) open house on Saturday (May 2), kids gathered around to watch the trashcano. Two volcanologists wanted to show how pressure builds up and then explodes out in some volcanoes. They put water balloons filled with different-density materials in a trash can of water. At the bottom was a hard plastic container with liquid nitrogen. They worked on the concept and practiced it multiple times because, you know, Science. 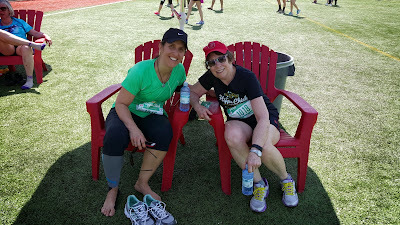 Also, lots of Fun. Also, so when the Homeland Security cop parked outside saw it go off, he wouldn't rush in. 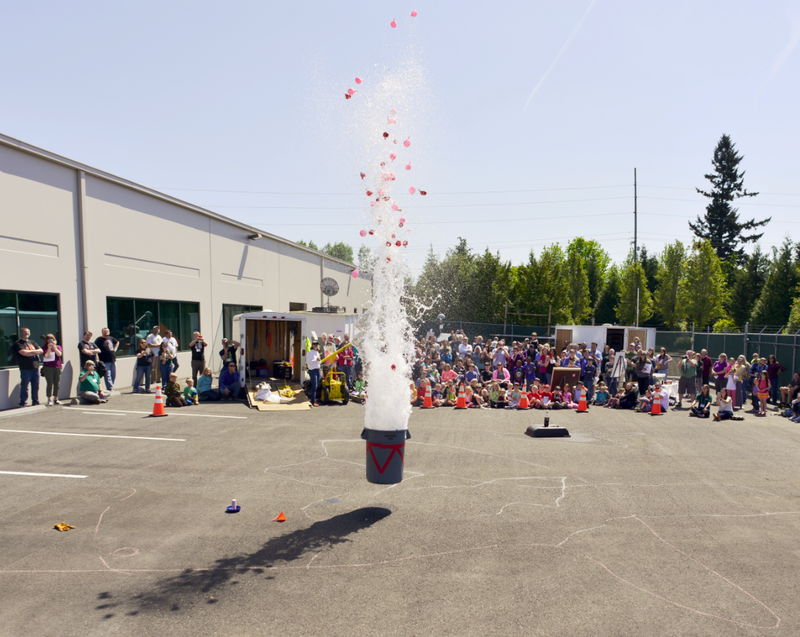 Before they set it off, they assigned kids from the audience to take different-colored chalk sticks to outline on the asphalt the distribution of the water (simulating ash), the lighter colored and lower-density balloons (simulating pumice and tephra), and the heavier all-water balloons (simulating lithics or dense rock). ....This time with wings like a bat! This fossil was discovered in China (of course*). According to the CNN online report, the fossil was discovered about 10 years ago in Hebei Province. The CNN article gives no word as to why the information is being made available only now. I followed the link to the "Nature" article, but (of course**) I could only read the abstract and look at the pictures and graphs, which were very interesting, but I would have to have an online subscription to "Nature" to read the whole thing. Which ain't gonna happen, because I'm not rich. Anyway, the Chinese paleontologists think the creature existed "for a very short time 160 million years ago during the Jurassic Period." Paleontologist Xing Xu, first author of the published article, told CNN that even though this dinosaur was one of the earliest to show some capacity for flight, it failed in the evolutionary lottery (my own words, NOT the way Dr. Xing Xu put it). The dinosaurs that went in the evolutionary direction of more bird-like wings, with feathers instead of membranes, are the ones that succeeded and went on to become modern-day birds. 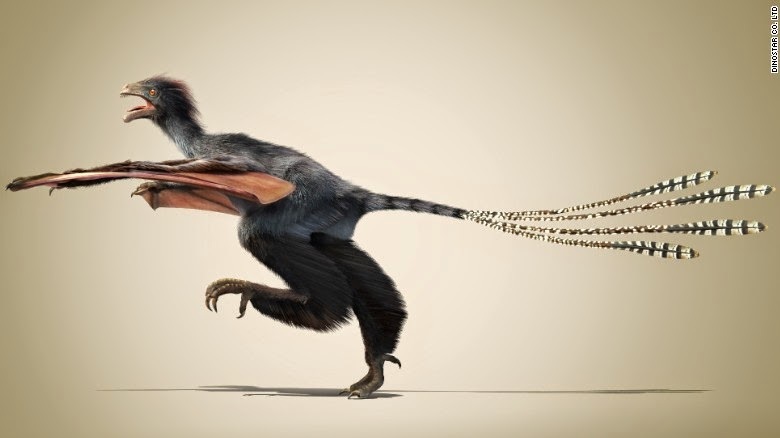 The Chinese scientists named the dinosaur Yi qi, which is Chinese for "strange wing." 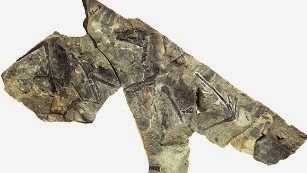 From the abstract published on the "Nature" website: "Analogous features are unknown in any dinosaur but occur in various flying and gliding tetrapods, suggesting the intriguing possibility that Yi had membranous aerodynamic surfaces totally different from the archetypal feathered wings of birds and their closest relatives. Documentation of the unique forelimbs of Yi greatly increases the morphological disparity known to exist among dinosaurs, and highlights the extraordinary breadth and richness of the evolutionary experimentation that took place close to the origin of birds." Translated from Scientish to English: "No other animals today have this kind of membrane wing except bats and flying rodents (like squirrels), so we think the flight-enabling membrane of Yi qi's wings was completely different from feathered wings of birds. This dinosaur's unique front legs, with the membrane that enabled flight, also reminds us of how remarkable the process of evolution was, with lots of "experiments"---modifications in structure---that didn't help those creatures survive like the bird-winged dinosaurs did." *I wrote "of course" here because it seems all the exciting fossil finds are being made in China lately. Apparently this is because of "more funding for paleontological expeditions" and "widespread construction work," which helps expose rocks and fossils. **I wrote "of course" here because it's only rarely that the interested amateur or non-affiliated scientist can access online articles without paying, in the case of this article, $199. ***What's really amazing to me is how fast "Nature" published the paper: The journal received it 11 February 201, accepted it 20 March 2015, and published it online 29 April 2015. I note these details, along with my snarky reference to research on the true cause of cracking knuckles, as background to a post I'll be writing soon on the art and science of getting one's research published in scientific journals. The headline reads: "Journal rejects female-authored study: 'Find one or two male biologists to work with,'” and the story reveals that the scientific world is still full of sexist and misogynistic males who use their positions to keep women from succeeding as scientists. Good old PLOS: Remember the article this journal just published about a study, performed on one person, claiming to have found the true reason behind the popping sound when you crack your knuckled: It's NOT because of a fluid bubble POPPING. No, it's beacuse of a fluid bubble FORMING! I'm talking about an article in my local throwaway paper with the headline, "Study cracks knuckles mystery" (originally published in the Washington Post. The good news is that "scientists think they know what makes knuckles crack." The bad news is that some group of researchers got the journal "PLOS" to publish their "preliminary" findings claiming that knuckles make that cracking or popping sound when a "bubble" of joint fluid is formed --- not, as previously thought, when a bubble of joint fluid collapses. Greg Kawchuk, lead author of the article, determined this by "examining the phenomenon closely using MRI technology." A chiropractor, Jerome Fryer, inspired the study and was --- wait for it --- the sole subject of the study. "He's apparently great at cracking on command." Can I get an "Amen!" for the University of Alberta researchers who got this ridiculous "study" published! Because think of all the actual research that could be done with an expensive MRI device, and all the actual research that is being done, with and without expensive devices, but is not getting published. It seems that "PLOS," like "Nature" and "Science," will stoop really low to get a headline, even if it doesn't matter to anyone, anywhere, for any reason whatsoever.